Hanover/ Frankfurt, September 14, 2016. 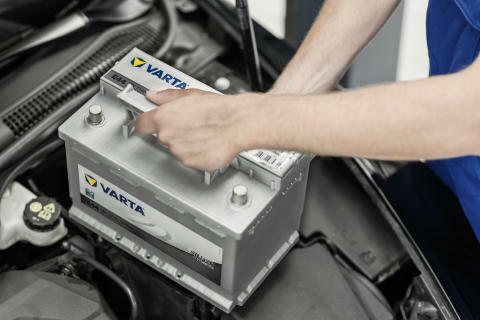 Johnson Controls, the world’s largest automotive battery manufacturer, unveiled the current results from its VARTA Battery Test-Check Program at Automechanika 2016. Launched last year in selected European countries, the initiative supports workshops in detecting battery issues before they happen. Of the more than 33.000 vehicles tested, almost a quarter had batteries that needed to be replaced immediately because they were so weak. Johnson Controls also researched how the automotive repair market is evolving from a do-it-yourself to a do-it-for-me business model. Findings show 85 percent of European car drivers need support to service their car at workshops and eight out of ten drivers trust their mechanics’ recommendations for battery service. “We want to lead the way in helping workshops maintain and even grow those numbers as new technology, such as start-stop vehicles with Absorbent Glass Mat batteries, begin to come into the replacement market,” said Joseph Walicki, vice president and president of Johnson Controls Power Solutions. The company estimates that by 2020, 75 percent of all new vehicles in Europe will feature start-stop technology. Advanced batteries are critical in start-stop systems. When the engine is off, the vehicle’s electrical system uses its energy to maintain functions like radios, lights and heating. The battery also supports the restart of the engine in a fraction of a second. All of this has changed the role of the battery substantially, making professionally trained technicians more critical than ever before. In addition, more components in vehicles require power- such as safety systems for example. Driver assist, active stabilization and automatic braking all require more energy, making the battery in your vehicle critical to advanced powertrains. 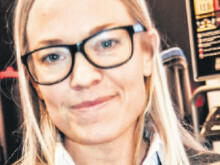 “Because Johnson Controls understands the automotive technologies of tomorrow, we can help prepare our aftermarket customers for upcoming market trends today,” said Walicki.